This unique moving coil phono stage fits snugly inside the Sondek LP12 turntable and works with the Linn Radikal motor control to deliver a new benchmark in LP12 performance. You’ll experience a new level of clarity and detail as the Linn Urika is located within the plinth itself, bringing it as close as possible to the tonearm, minimising cable length and therefore signal loss and noise. Mounted on its own integrated Trampolin base board, the phono stage is also isolated from unwanted vibrations. 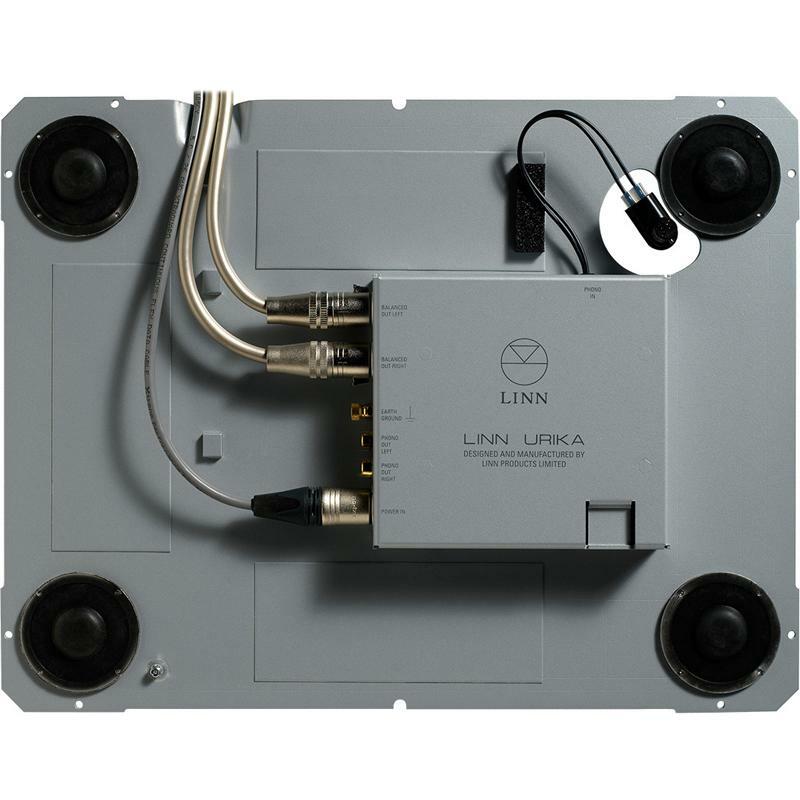 Powered by Radikal, which also powers and controls the LP12's top of the range DC motor, Urika is a transformative upgrade, letting you experience the highest performance from your LP12 turntable.